Schalke and Frankfurt raise the curtain on the second half of the 2016/17 Bundesliga season on Friday night. 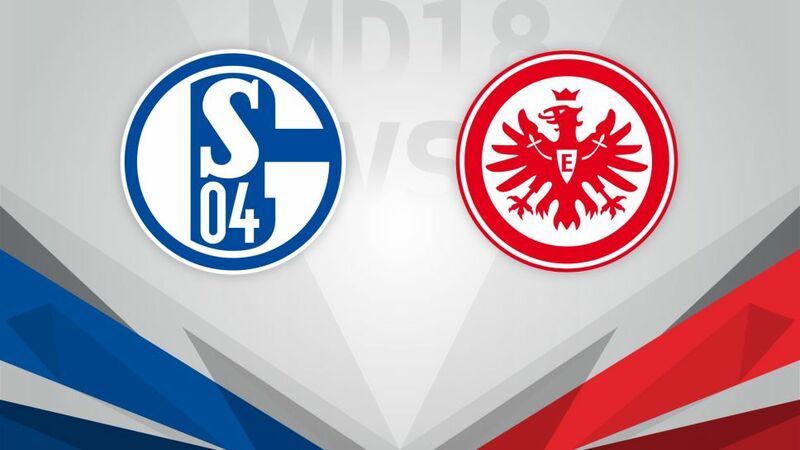 FC Schalke 04 can close to within four points of Eintracht Frankfurt and the European qualifying berths when they aim for a second straight Veltins Arena win at the start of Matchday 18 (Friday, 20:30CET/19:30GMT). Guido Burgstaller made a debut to remember for the Royal Blues a week ago and coach Markus Weinzierl and the Veltins Arena faithful will be hoping for more of the same when a wounded Eintracht Frankfurt come to Gelsenkirchen. Schalke head into the second half of the season with plenty of ground still to make up on the top six, which is why a win over the current UEFA Europa League qualifying incumbents would be a major filip. The Eagles soar into town without the suspended Lukas Hradecky and licking open wounds after a crushing 3-0 defeat at RB Leipzig. Just six months after surviving a relegation play-off, their current position is nothing to grumble at, but Niko Kovac will be aware that his team can fall as quickly as they have risen and a show of strength at Schalke will be just what he is seeking on Saturday. Schalke ended a run of four Bundesliga matches without a win, during which they took only one point, by beating FC Ingolstadt 04 1-0.The topscoring Austrian in Schalke’s Bundesliga history is Hans Pirkner, who scored eight goals in 1969 and 1970. Guido Burgstaller got his first goal in the game against Ingolstadt.Schalke have not won against the teams currently in the top six in the table this season.The 3-0 defeat Eintracht Frankfurt suffered in Leipzig was their heaviest of the season. They have never lost by more than three goals under Niko Kovac.Despite the loss against Leipzig, Eintracht have only conceded 15 goals this season. The Eagles have never had a better defensive record after 17 games.Eintracht have not conceded a goal in their last six games played on a Friday. Five of those games ended 0-0. This season they won 3-0 in Hamburg and drew 0-0 in Mönchengladbach and Hoffenheim.